We had some fun this week getting arty. 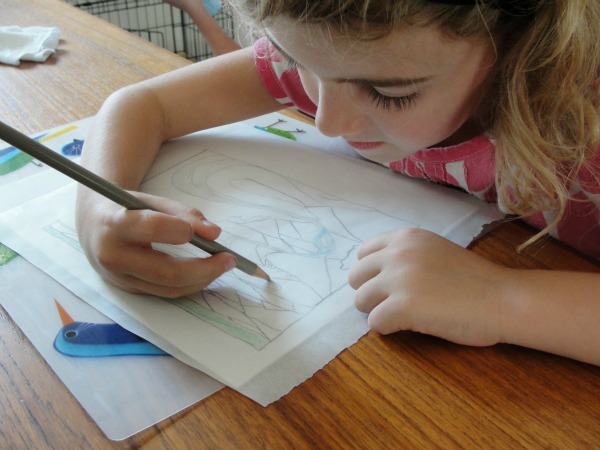 You might remember the last time we participated in Red Ted Art’s Kids Get Arty challenge. The girls had a blast learning about Leonardo Da Vinci and created our own fresco paintings. They were excited to explore another master artist this time around. We just needed some inspiration. 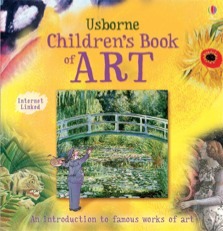 Well, the inspiration came from a great book that my sister gave my daughter for her birthday, “The Children’s Book of Art” from Usborne. 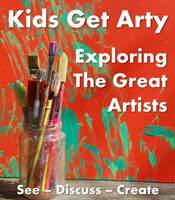 This book takes kids through art history, highlighting all the masters. 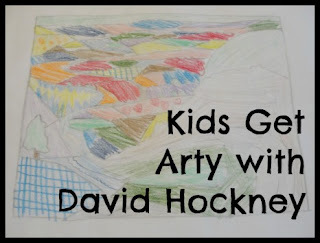 After flipping through the pages my youngest daughter was drawn to David Hockney. David Hockney is a British artist who works in a wide range of media. 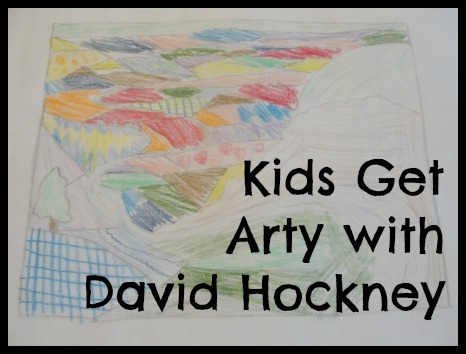 Hockney work with everything from pens, markers and photography. We did some further research and while we loved his photo collage work, we fell in love with his brightly coloured English landscapes. The countryside has never looked so much like a colourful quilt. This piece is titled “Garrowby Hill”. In our quest for fun after school activities I knew I could prepare an art project that my daughter would love. 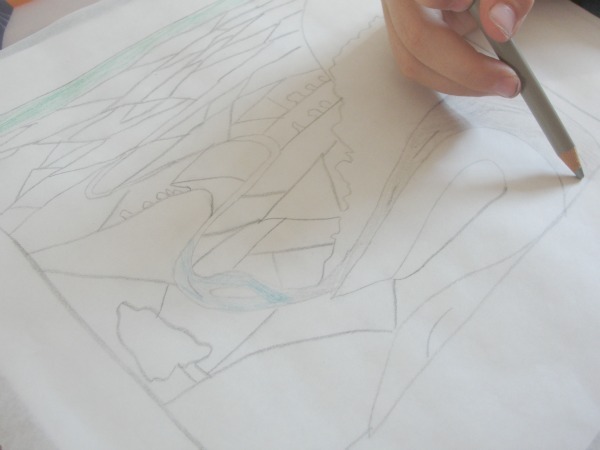 Using parchment paper as tracing paper…I was out of tracing paper…I traced the picture “”. 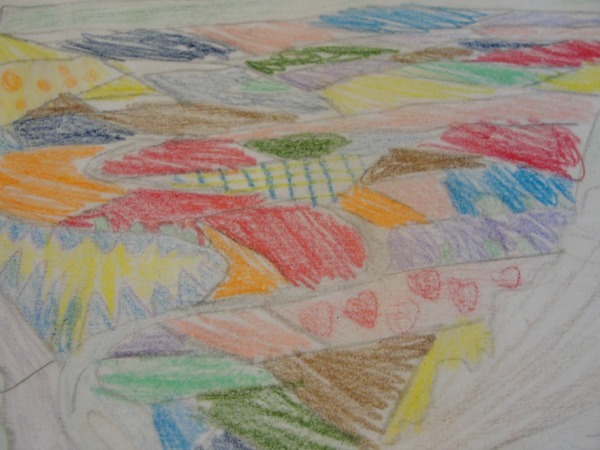 I then sat my daughter down and asked her to use whichever patterns she wanted to and create her own landscape. I was amazed at the final product. It is really lovely. In fact, I am going to frame this project. The best part was that my daughter is learning about patterns in school right now. They are working on number and letter patterns. This art project fit perfectly with her school work. I love it when our home activities can support her education. 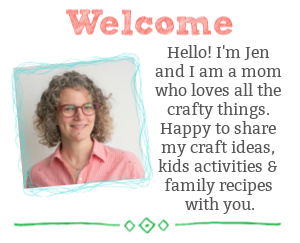 I cannot wait to take a look at the Kids Get Arty linky over at Red Ted Art. 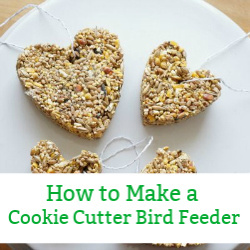 Every challenge is always filled with so many wonderful activities and crafts. 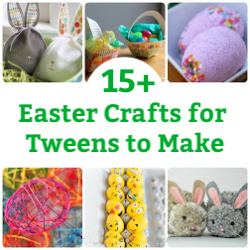 If your kids have been getting arty lately, feel free to hop over and link up. Thanks for the inspiration. A perfect rainy day activity for the upcoming rainy weekend. Oh this is beautiful! I love the painting you chose to be inspired by – one of my favourites too! That winding road is beautiful. Your final artwork is brilliant. Love the patchwork approach. Beautiful. I love your daughter’s picture. Very effective. 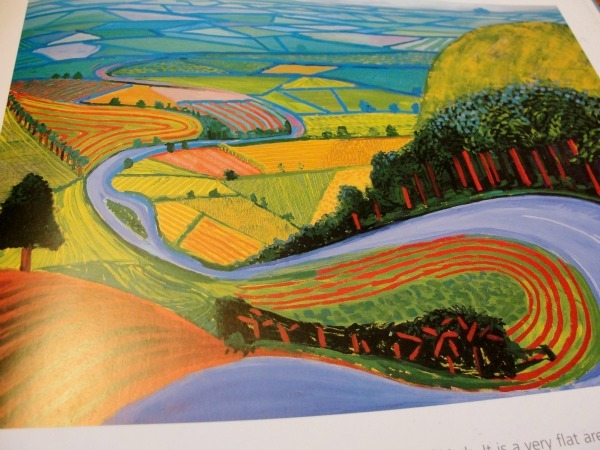 I must however point out that David Hockney is not an American Artist… He was born in Yorkshire, in England in 1937.